You might not realize the power of collective action for the common good, but we see it all around us every day. In this new era of social media for social good and the democratizing of the web people in need everywhere are getting needed services from ordinary people all over the world. Crowdfunding platforms are making it much easier for concerned and passionate do-gooders to reach into their pocket and fund ideas, loans, programs for women and girls, and, yes, even health care. Four crowdfunding sites have recently been created that specifically provide crowdfunded health care for women, girls, and children. Each of these sites are completely transparent about where the money goes and 100% of all donated dollars fund surgeries and programs and not to overhead, although each site provides options to fund overhead should you desire. All of the following sites allow donations as low as $5 with the exception of Kangu where the lowest donation option is $10. www.catapult.org | Launched in 2012, Catapult is the leader in crowdfunding programs for women and girls. A project of Women Deliver and funded by the Bill and Melinda Gates Foundation, users of the site can join teams and provide much-needed micro-funding to programs ranging from advocacy to technology. You can also fund health projects like providing surgeries for fistula repair or funding maternal health in Cambodia as examples. www.watsi.org | For as low as $5 you can donate money to operations that will greatly increase people’s standard of living. For example, you can fund a pregnant woman who needs prenatal care, a hospital delivery and post birth check-up. Or, you can fund an operation for a child with serious burns. 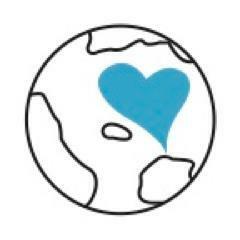 In honor of Women’s Day Watsi launched a maternal health program to provide safe births to women around the world. www.kangu.org | Launched last week Kangu is a crowdfunding site that allows people to specifically and uniquely fund pregnant women and newborn babies. With profiles of women from India, Uganda, and Birundi, you can ensure that profiled women are guaranteed a safe birth. Founded by Casey Santiago, an early staff member of Kiva and advisor to global health organizations Kangu is poised to become a leader in providing safe births to women throughout the developing world. On the surface these four crowdfunding sites don’t seem that different, but they vary greatly in the depth of programs offered, partnerships, as well as the different countries they work in. The one major differentiating factor among them is Catapult allows you to form and join teams in order to make a larger impact on its programs. Kangu, Watsi, and Samahope, however, allow you to connect virtually with individuals in need. Donations to Catapult, Samahope, and Watsi are currently tax deductible. 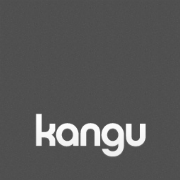 Kangu has filed for nonprofit status from the IRS. All donations will be retroactively tax deductible.